If you live here in Franklin Tennessee, you know what I am talking about. If you have out-of-towners visiting, show off this great winter event. 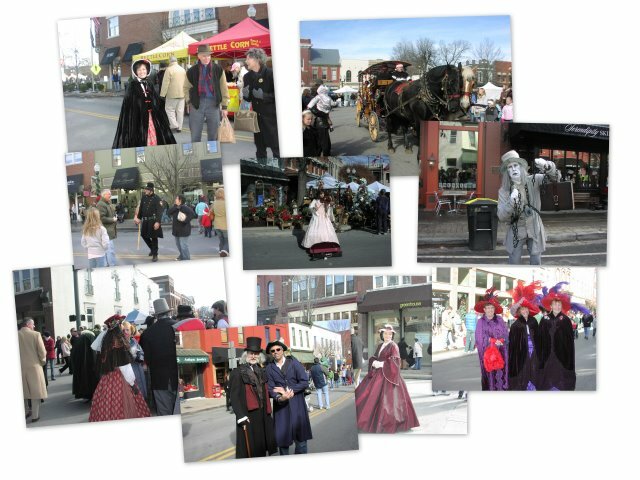 "Dickens of a Christmas"
Every year at this time, Franklin TN folks head to downtown Franklin, which is all of two blocks and a quaint town square. Once there we enjoy the festivities which consists of people dressed in the Charles Dickens' period (Nineteenth Century London) and local merchants enjoying the foot traffic that the event brings. The streets are blocked off to traffic, automobile traffic that is, horse and buggie will be there, so it will a camera friendly day. Better make sure mine is all charged up and ready to go. Anyway, if I see you there be sure to smile, with your permission you may end up in my next post here. I do tend to brag about my home, Franklin Tn, one of the best little towns in Tennessee and as far as I am concerned, the US. Mike Nastri is a Realtor with Keller Williams Realty in Franklin, TN. He serves most of Middle Tennessee, Williamson County, Davidson County, including Nashville TN, Brentwood TN, Franklin TN, Thompson Station TN, Spring Hill TN. He will be happy to help you buy or sell your house or Real Estate. Mike - Nice post. I'll be there sometime, I'm still trying to catch up from my trip. It's funny to see the snow here, after coming back from Alaska, I've seen enough of this stuff. Great to have you back Larry, it was a great day downtown today (snow not withstanding). Still learning this stuff every day. I have a few interesting things to share next time we have your class.